Klavan: Of course I'd hate to play against our attackers! No team has scored more Premier League goals than Liverpool this season - and Ragnar Klavan has admitted he is glad he only has to mark his attacking team-mates in training. Jürgen Klopp’s side have netted 18 times in their seven top-flight games so far this term - the same total as league leaders Manchester City - with another eight goals coming in dominant EFL Cup victories over Burton Albion and Derby County. Arsenal and Leicester City both conceded on four occasions to Liverpool, while Hull City captain Curtis Davies said it was ‘hard to lay a glove on anyone’ after the Tigers were beaten 5-1 by a relentless, irresistible performance from the Reds at Anfield. And Klavan, who himself weighed in with a rare strike to set Liverpool on the way to their 3-0 win at Derby, appears to understand exactly where his fellow centre-back Davies is coming from. Klavan, a summer signing from Augsburg, has made three Premier League appearances so far this season after spending the majority of his career in Germany and the Netherlands, and he feels he is becoming accustomed to the nuances of the English game. “It’s kind of more aggressive, a little bit more is allowed by the referees,” the No. 17 added. “It’s a little bit different from the Bundesliga. Those are just parts where you need to get used to it a little bit, so it took me some time and also in training, but slowly I am getting there. After four consecutive league wins, Liverpool sit just two points adrift of Pep Guardiola’s table-topping City side during the second international break of the campaign. 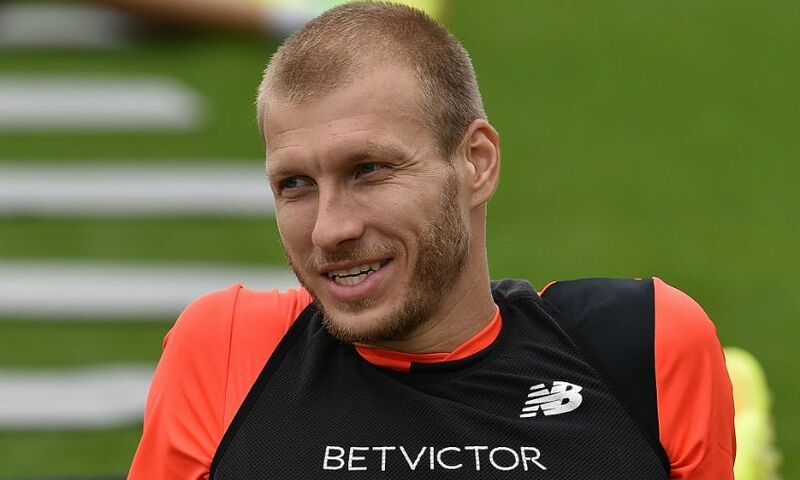 While feeling upbeat about the Reds’ strong start to the season, Klavan stressed that there is plenty of work still to do to make 2016-17 successful. “We have had a good start to the season, no doubt about it, but it’s going to be a long season,” the 30-year-old, who was speaking before last Saturday’s 2-1 victory at Swansea City, continued.